Are you seeking the independence and freedom of owning your own shaved ice business? Are you looking for an opportunity to supplement your current income? Are you interested in running a business that you can enjoy as a family? 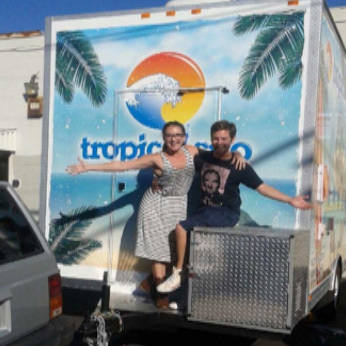 The reasons for becoming a Tropical Sno Dealer are numerous, but whatever the reason, Tropical Sno will assist you every step of the way. Tropical Sno is dedicated to helping each and every one of our dealers find success and achieve their business goals. Let us help you realize your dreams and have fun while doing it. Tropical Sno is a very exciting and fun business venture. My husband and I were searching for the perfect income supplement for our family to save for future college and extras. 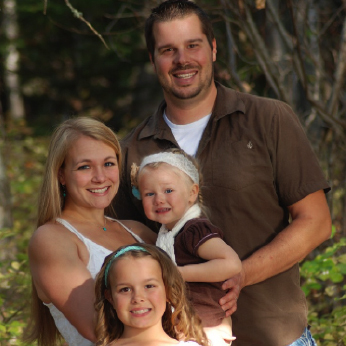 It is a great business for me to manage and still stay home with my children. This awesome brand has been a summer favorite in my town for over 20 years. I'm the proud owner of the original "hut." My first summer flew by and at times, was a challenge to keep up with the demand for the delicious treat. Many customers told me personally how happy they were to see Tropical Sno come back to the community. This product is the best out there from the shaved ice to the unmatched flavors. I only have one year under my belt, but I hope to be a part of this business for years to come. I am a college student attending Missouri University of Science & Technology in Rolla, Missouri. I've grown up in Rolla and most of my life there's been some sort of Tropical Sno dealer in town. Throughout high school, I became very good friends with the owner of the Tropical Sno "shack" as we called it. Working with him, I learned the ins and outs of the business. When I found out the owner was moving and not taking his shack with him, I expressed my interest in purchasing it from him. I was able to successfully buy it, and I now own the best-tasting and most successful shaved ice stand around. Tropical Sno has given me wonderful business skills and management experience as well as the money to pay for my college. I've been a part of two different blind taste tests where Tropical Sno consistently ranked higher than competing companies. I'm extremely happy and proud to be a part of a company that I know I can honestly call myself #1. Tropical Sno has been in my small community since 1994 when my son was a preschooler. We were customers for several years. In 2002, my husband & I purchased the business. It has been great for my family & our community. It gave my son a summer job that helped with college expenses. 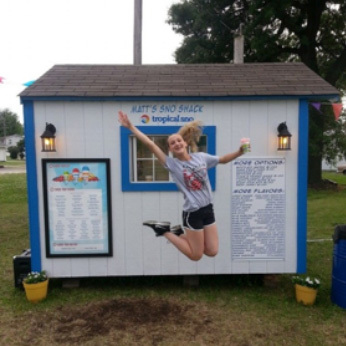 Several teens in our small community got their first work experience at Tropical Sno. Many of these young workers are like family to me. Many of them are now bringing their children for shaved ice. The flavors are top quality, true to life fruit flavors. We have so many loyal customers. They ask all during the off season when we will be opening for the next season. 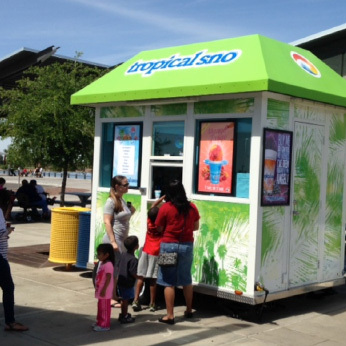 Tropical Sno products are easy to order from the corporate office in Utah. If you have questions, there are dealer relationship managers that will help get you started. As I stated earlier, I am from a small community & will be opening for our 15th season in 2016. We do well but if you want to travel with the business to where the crowds are--you can make a lot more money. The upcoming season will be our 19th fun filled year as a Tropical Sno dealer. No matter sun, rain, snow or ice opening day in mid April, it is a major event in our small town and our loyal customers are there to get their ‘fix’. We have many great memories and stories. We are told - and believe - that the Tropical Sno flavors and ice are the BEST. Our customers come from miles around to visit us. The young customers in 1998 are now proud parents and look forward to take pictures of their babies having their first experience with Tropical Sno. Pregnant women love Tropical Sno and several have even stopped by on their way to the hospital. 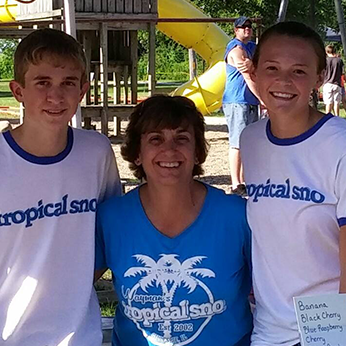 It has been a pleasure to work with the staff and we look forward to many more years as a Tropical Sno dealer. I have wanted to own a stand since I was 12 years old, just like our local Sno cone lady Mrs. Wall. She was my Inspiration. I have worked for a major Cell phone company for years in management. Last year after my Mom was diagnosed with cancer and dementia, I decided to live life my way. Life is short. I quit my job, and bought an Elite Building... I traded my old life in for "a whole 'nother world"...got me a pirate flag and became an island girl! Tropical Sno is enabling me to live the life I want - not the life the world expects. Everyday I fly my pirate flag to remind me of the freedom I now have with Tropical Sno, and I fly the American flag to remind all who walk up to our shack: Someone died for their freedom. My boys, ages 20 and 16 are learning life lessons they will not learn in school. How to run a business... It's a beautiful thing. Thank you Tropical Sno for supporting my dream. I became involved in the Tropical Sno business because I had a friend in college that worked at a Tropical Sno in Kansas. I was instantly intrigued by its relative simplicity and obvious success with how busy the location was. I immediately knew there was opportunity in Phoenix, AZ. 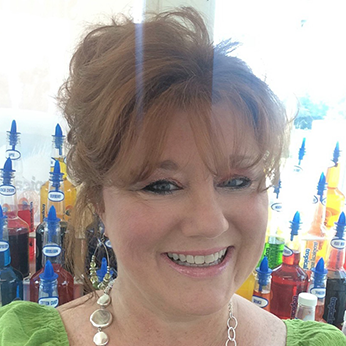 My favorite part of the business is the overall flexibility and ability to develop the business my way and always offering a high quality Tropical Sno product. It’s what keeps us in demand! I look forward to my little girls growing up knowing and understanding the business. I enjoy the money making aspect of course; but the no franchise fees and high quality product and service make this a great opportunity. Networking with other dealers is always enjoyable and the on-going development of the brand and support I receive is fantastic. I own a JR. Gazebo and a 5’ x 8’ open air kiosk. Our favorite part of the business is being in charge of our own destiny. Managing our own hours is paramount. Working alongside your best friend is awesome! Such a fun product to serve, customers immediately turn happy, and its rewarding to see! 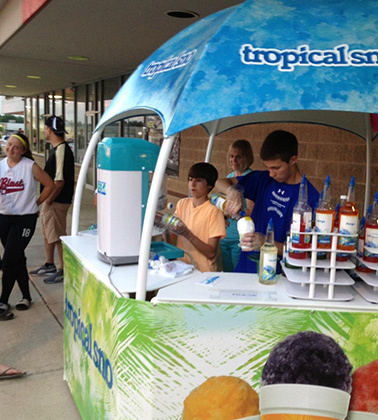 We knew the Tropical Sno product was a hit at the location we worked at in Kansas City. We later decided to move to Southern California, and the challenge was setting it in a new market and understanding all the new laws. With the support of the staff at Tropical Sno, it was easy to successfully launch our business and we are so happy we did it! 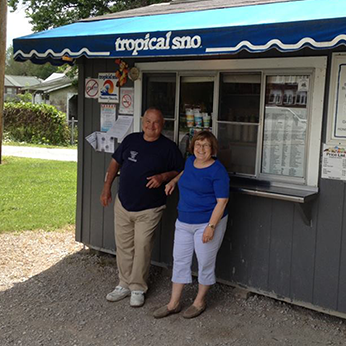 Growing up as a kid, Tropical Sno was a part of Columbus, KS. 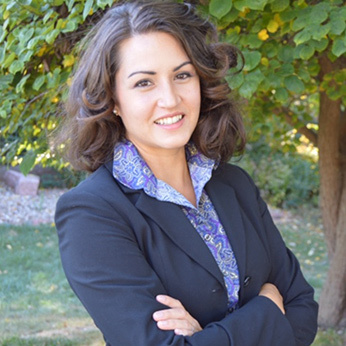 I’m a teacher and this business is a perfect fit to my lifestyle given the seasonality in my area. My favorite part of the business is the interaction with customers and neighbors over a fun, quality treat is always enjoyable. I am looking to potentially open a second location in 2018 in SE Kansas. The initial stand I built was too small for the overwhelming demand of Tropical Sno in my town. I built a new, larger stand in 2015 to accommodate the demand! I became involved in Tropical Sno when I first tried it at an ice cream store in Kansas City. Instantly, I was hooked and was amazed by quality of the product. Tropical Sno is great for the Arizona market, and a great alternative and addition to my existing ice cream store. My favorite part of the business is the customer interaction with such a fun product. Tropical Sno is also a profitable product which helps drive the bottom line of my business. 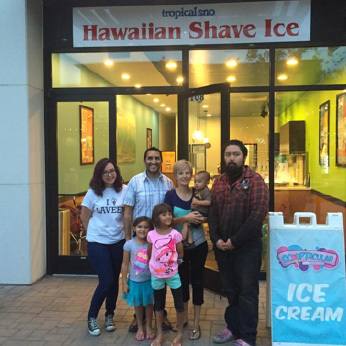 We had a unique start to our Tropical Sno journey in the sense that we didn't seek out a business; Shave ice found us. 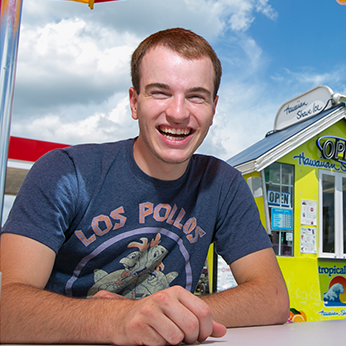 Tropical Sno provides an amazing opportunity for everyday people to take control of their employment and become their own boss. The freedom to choose the days you work, as well as the amount of time and effort you dedicate to your business is liberating. Our number one concern as we embarked on our Tropical Sno journey was the financial commitment. Looking back, we are so thankful we took a leap of faith! Making the final payment on our business loan was an incredible feeling. Now, our business is allowing us to successfully work toward being debt free. Our system is simple. We license you to use the Tropical Sno name and logo and you agree to use the Tropical Sno products exclusively. We will never charge fees, royalties, or blue sky. We're your source for shave ice flavor, ice shaving machines, marketing materials, cups, printed apparel and just about everything else you need to keep your shave ice business running smoothly. We are committed to selling only the finest products: from our amazing flavors to our machines and accessories. Everything we sell must be quality or we won't sell it. 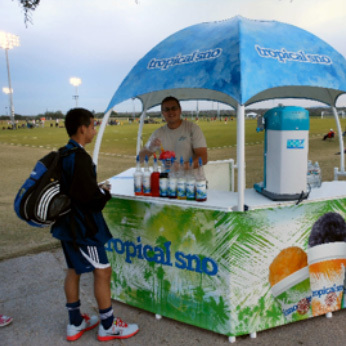 Tropical Sno is an internationally recognized brand with an outstanding reputation. Consumers know that our brand represents consistent product quality and outstanding service. Our team is dedicated to providing the training & support you need to be successful. We help you be in the shaved ice business for yourself but not by yourself. Feel free to contact us anytime. 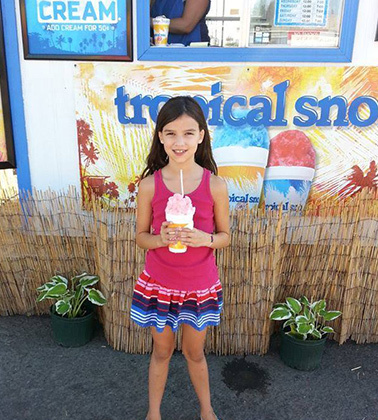 Tropical Sno is profitable! Cost of goods is typically 15-25% depending on the retail selling price. Initial investment is less than a new car. It's a fun and tasty way to make money. Note: You must have flash installed to use this site. Upload a picture that has at least 520px width and 370px height and then hit continue (it’s ok if it’s bigger on one or both measurements). Use the “Open” button at the top of the page to load a picture from your computer. Optional: You can “resize” if you would like to use most of the existing picture, but be sure to check the “lock” icon to make height and width adjustments proportional. When finished editing, hit the “save” icon (it looks like a floppy disk), rename the image if you want and then “Save to my computer” to save the image. If it’s 520px x 370px, you can now upload it here! Start your own business with Tropical Sno. Learn more about the opportunity and how others have found snowy success. We are here to help you every step of the way.